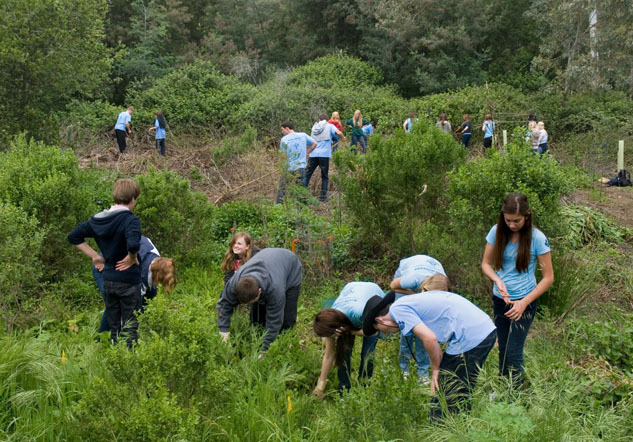 Volunteering is a wonderful way to contribute to the community, meet new people, and learn about our watershed. We do a great variety of work, so we should be able to match your interests, expertise or needs with one of our projects. Some projects are hands-on in the field (or stream), planting, weeding, surveying and water-quality monitoring; others involve public outreach, documentation of projects, writing, photography, following public policy developments and proposed developments, and professional services. Perhaps you would like to attend Friends’ board meetings and get involved in running the organization. Let us know how you would like to help! It would be helpful if you fill out the Volunteer Information Form VIF_blank and send it back to us.